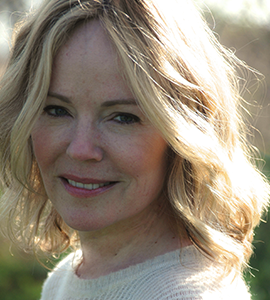 Acclaimed novelist and memoirist, Dani Shapiro is a “writer’s writer.” She makes you want to be not just better at your craft, but better at life…through your craft. In her early 20’s, a horrible car accident that led to family tragedy left Dani seeking answers and her own sense of spirituality. Writing became her coping mechanism, her way of processing and thinking and, eventually, her profession. It helped her better understand her relationship to a fast-paced world, to becoming a wife and mother and, in more recent years, reclaiming her sense of faith and spirituality on her own terms. Eight books in, Dani’s built a vibrant career and a thriving, successful, creative life. Her latest book, Still Writing, has been described as a “love letter to a discipline,” skillfully illuminating the journey of becoming one with her art form. In this week’s episode, Dani gets us thinking about craft as life and thought and spirit, the changing face of the publishing world, the artful practice that helped her become who she is, and how creative people can both be of the world and of service to it. If you’re a writer or an artist or maker, or aspire to any of those creative pursuits, you won’t want to miss this conversation. You can also listen to the audio on iTunes or Soundcloud, and be sure to subscribe by email (below) so you never miss an episode.